The “Queen of Ices” has been around for about 2 centuries, and she’s a beauty of a crisphead, with very ornately toothed green wrapper leaves blanching a crunchy white heart. Sounds like a queen. The hearts are a nice base for any salad, and she makes a fancy crisp cutting lettuce for mixes at a juvenile stage. Highly rated for horizontal resistance to downy mildew in our trials. 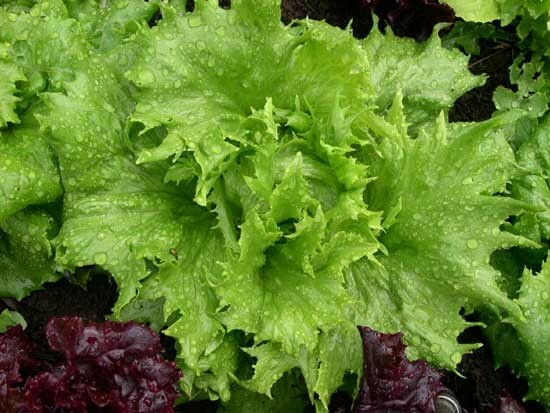 This is one of the most distinctive of all lettuces, a queen’s treasure of interesting traits, so fun to breed with.